Marble – a natural stone always be an Artists and architectures choice. Usually, Marble tiles are expensive but sometimes can be reasonably priced. The cost depends on how much tile is needed and also depends on the origin of the marble tile. Beautify your home with marble tiles in just about any area that you want to, usually applied in hallways, bathroom flooring, kitchen slabs and exterior walls and flooring as well. Westside Tile & Stone Inc offers versatility and uniqueness in options of marble tiles one can choose from available in stock at their showroom. It is one of the most popular ways to use marble floor tile as a building material to decorate a home or to personalize a space. Taking care of marble flooring is important to ensure the longevity of its beauty. It is generally polished and then sealed. Because of this, waxing doesn’t need to be done in the fashion that you would do for other types of flooring. Honestly, if you do not wax the floor properly, it can hurt the appearance of the marble. Marble tile is the type of stone that is very porous and susceptible to staining if you don’t take good care of it. Wiping up spills as soon as possible so they do not seep into the marble tile flooring is important. Keeping the marble tile’s distinctive look can be done using certain cleaners. Following the manufacturers’ advise about cleaning products is imperative because certain solutions can destroy the stone and leave permanent marks behind. 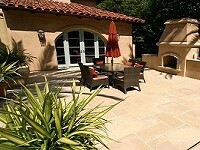 Outdoor marble tile needs a proper care as weather conditions can affect them and cause them to look stained. If you want to install tile by your own, you may find that the work is a tedious job. Unfortunately, it is necessary to make sure that the floor does not get damaged down the road. It makes the installation process a little challenging, but the finished look is better than few other tiles can achieve. When it comes to durability, Marble tiles stand with every test of time. Marble tiles can be used with other materials as well to make its nature more versatile. Using Marble Tile for Kitchen & bathrooms walls, living rooms & bedrooms flooring, main walls, designing kitchens slabs, for entrance flooring and as exterior wall tile are perfect ideas. It can be combined with wood or inlaid with plaster. Artists have used marble tile in their works for years. Decorating table tops with marble is one form of art. It is another form of art to use precious stones and mixing them with small pieces of tile. Throughout history, Italian artists have regularly used marble as a medium. A less expensive option for marble tile is cultured marble. Cultured marble is actually made with binding agents and marble dust. 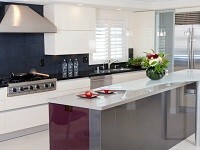 It is a very cost effective way to get the look of marble. Generally you will find many bathroom vanities and bathroom tubs made of cultured marble. It can be stronger and more durable, depending on what it is made of. Cultured marble can also be easier to care for than real ones. For some people, it can be a great option. Marble tile is known for its one of a kind look. The ability is to reflect light makes it a popular choice for homeowners. There are many different manufacturers that can provide marble to customers. Choosing the right color of marble-tiles can add a distinctive and sophisticated look to almost any area that it is installed in. Explore our Tile Gallery & find selection of Marble tiles that is unmatched. Our experience designers have used Marble as the centerpiece for countless remodeling projects and we can show you the most effective, affordable methods of using the tiles in your home. Whether you are trying to redesign your bathroom, kitchen, home, or exterior, Marble floor tile can be a beautiful choice for adding value to your abode. Let us show you how. Marble tile flooring in the Los Angeles area can be found in our ten thousand square foot showroom in Canoga Park. We offer some of the finest italian marbles such as Calacatta Gold, Calacatta Medici, Emperador Dark. Our unique availability of Spanish Marbles such as Crema Marfil, Crema Marfil Ivory and Rojo Alicante allow us to offer our customers the most striking and beautiful marble floor tiles at an exceptional price. Our collection of marbles from Artistic tile puts us at an exclusive cornerstone in the marble selection for the Los Angeles county and surrounding areas including Beverly Hills and Santa Monica. 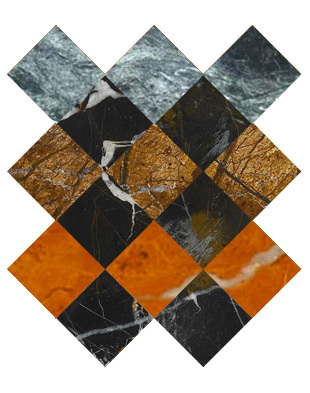 View Marble tile photos and design patterns. If you’re thinking about adding Marble tile to your home, take a look at the options available on Westside tile and Stone Inc.
Westside tile and Stone provides you the best and wide variety of Marble Tiles in different areas of Southern California. For more information visit our showroom and meet with our experts, also you can contact us on our website www.westsidetile.com.